Hunting ammo that works as hard as you do. 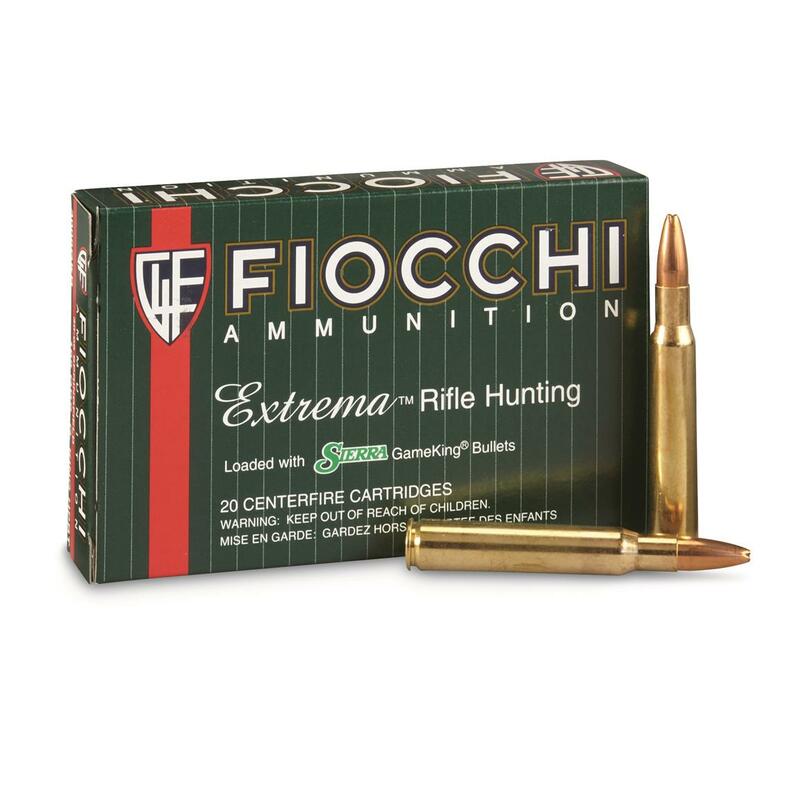 Fiocchi Ammo is made with only the best American powders loaded on state-of-the-art equipment in the U.S.A. You'll get match grade components with ultimate performance for the hunt. Constructed with Norma cases for greater performance. Norma creates a superior-quality case that ensures long life and many reloads. They're made of the best possible raw materials with incredibly narrow tolerances. The case neck is annealed to become soft preventing gas leaks and enabling the case to hold the bullet firmly for at least 10 years, without cracking as a result of aging material. The case body's hardness is increased to avoid unnecessary stretching. It has to be the perfect hardness, because if it's too hard you run the risk of cracks. Down around the primer pocket, the brass is firm. The hardness is nearly twice that of the neck. During processing the large, soft grains are broken down into smaller ones. This makes the material harder. At the annealing, small grains become bigger and the hardness decreases. We know this is all a bit technical, but you'll see the outstanding difference it makes in accuracy, round after round. 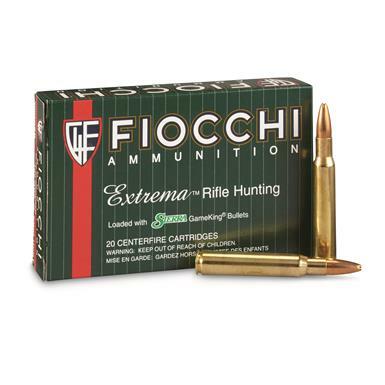 Fiocchi Extrema, .30-06 Springfield, HPBT, 165 Grain, 20 Rounds is rated 4.5 out of 5 by 2. Rated 4 out of 5 by RiSpi1 from Good price for a good bullet. Good price for a good bullet. Rated 5 out of 5 by jon84 from Great price,and quality to boot. Really good deal,Thanks to Sportsmans guide.will be purchasing more in the future.